The Neurostatus Training DVD-ROM is an interactive training tool for a standardised neurological examination and assessment of Kurtzke's Functional Systems and Expanded Disability Status Scale in Multiple Sclerosis. It is highly recommended that physicians seeking certification first become familiarised with the Neurostatus Training DVD-ROM and Neurostatus Scoring Documents. 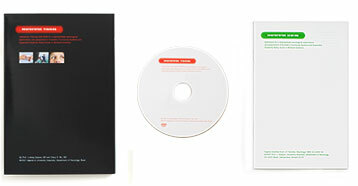 Note: After January 2006 only the Neurostatus Training DVD-ROM will be delivered. For investigators who do not have a DVD-ROM drive in their computers, a limited supply of CD-ROMs is available. For further information, please contact your study administrator. Three complete neurological patient examinations on video, allowing trainee to determine Neurostatus scores, FS scores and EDSS step ( see Screen 1). Training feedback after completion of the patients examinations, with highlighted areas for further review ( see Screen 2). Topics section addresses difficult aspects of the neurological examination and illustrates the various degrees of impairment/disability in an interactive and enjoyable manner for further review ( see Screen 3). E-Test feedback allows quick and easy access to suggested areas for review according to the results of Neurostatus e-Test.